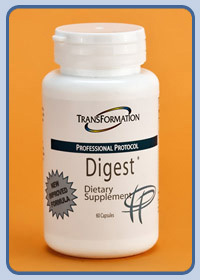 Optimal digestion is dependent upon effective digestive enzymes. TPP Digest conatins highly effective enzymes with a broad range of specificities to handle all food preferences. All Transformation formulas are carefully prepared to assure maximum quality and nutritional effectiveness.